A Special Talk Event took place at the “KORG x DETUNE” booth at M3-2018 (Fall), held on October 28th. Mr. Denji Sano of DETUNE Ltd., Hiro of Sega Interactive Co., Ltd., and Mr. Katsuhisa Ishikawa and Mr. Yu Shimoda of Taito Corporation’s ZUNTATA appeared on stage to announce this shock collaboration. Sega’s "OTORII" and Taito’s "EBINA" will be released in KORG Gadget for Nintendo Switch in spring of 2019. We are now proud to share about these two new gadgets with everyone!! * Please note: Images are under development. The external appearance and specifications of the finished products may change without notice. We are proud to announce our collaboration with Sega. 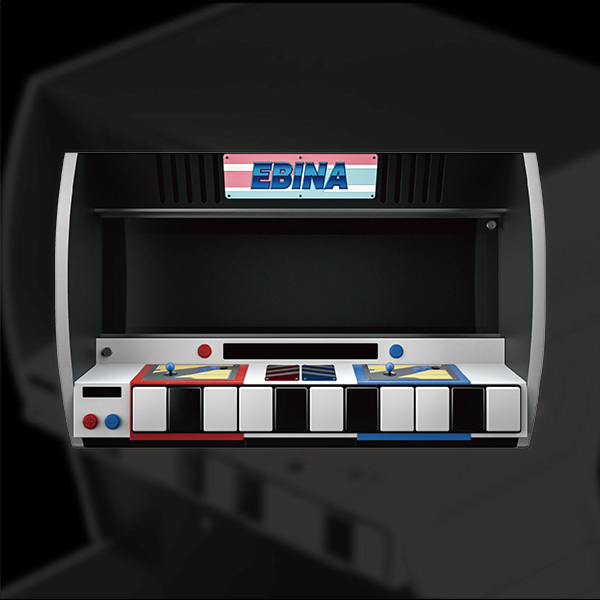 Concentrating on arcade games that achieved popularity in the 80s, such as Out Run and After Burner, drumming sounds and sound effects have been newly sampled from original equipment. 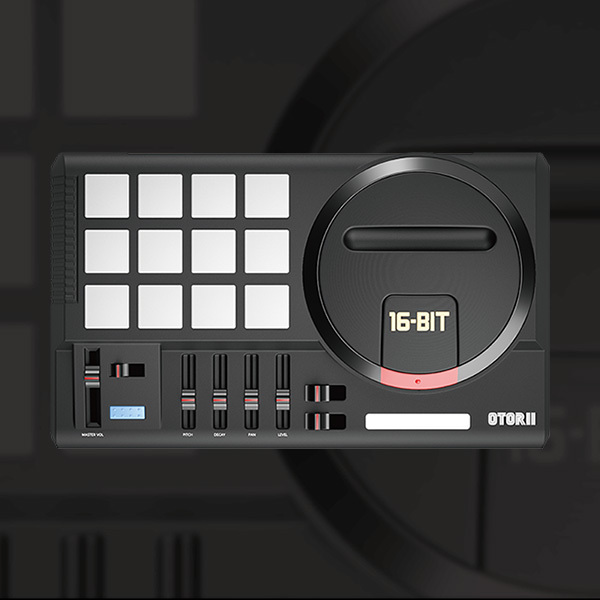 This nostalgic design, inspired by the Mega Drive and with a 16-bit logo, is a distinctive rhythm sound generator gadget. This is a synth gadget inspired by the Darius arcade cabinet and its distinctive three-screen design. Synth sounds have been recorded from arcade games such as Darius and The Ninja Warriors. Through collaboration with Taito, we are reproducing FM tone generator sounds (mostly), successfully reproducing sounds of these legendary arcade games. * The Nintendo Switch logo and Nintendo Switch are trademarks of Nintendo Co., Ltd.
* All product names and company names are the trademarks or registered trademarks of those companies. 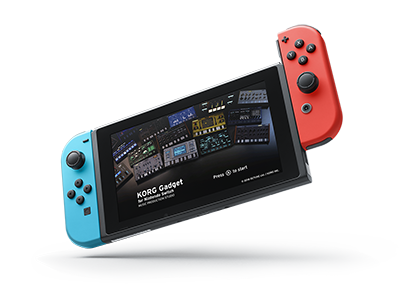 Home News “SEGA” & “TAITO” gadgets will be released in KORG Gadget for Nintendo Switch in Spring of 2019!